Map 35 is the latest map to be released in the popular online math program for kids aged 3–9. Mathseeds Map 35 features a host of fun math activities and videos. Children learn about the times tables, kilograms and grams, mental addition and subtraction, data and more. Young fans of the award-winning online math program, Mathseeds, can now enjoy the latest expansion of Map 35. The brand new map features five interactive math lessons, which cover Grade 3 math skills and concepts. Children learn about the times tables, kilograms and grams, mental addition and subtraction, data and more. Each lesson is set in an exciting destination where students apply their math skills to real-world situations. Some of the locations in the new map include Stockholm, New Jersey and the Louvre. Map 35 features a host of online activities and videos, where the beloved Mathseeds characters introduce new math concepts in a fun and easy-to-understand way. Mathseeds is created by the same team of educators, writers and developers as Reading Eggs, and now features 175 lessons for children aged 3 to 9. The self-paced, one-on-one lessons are laid out across 35 different maps that resemble a board game, letting children easily see their progress while they earn motivating rewards. 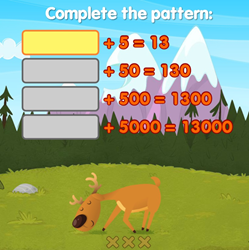 At the end of each Mathseeds map, children complete a quiz which assesses their understanding. Parents and teachers can also view progress reports and download lesson plans and worksheets that correspond with the online lessons. New users can claim a free two-week trial of Mathseeds by registering online at http://www.mathseeds.com.